Extended Test Time - Nicole Ofiesh, Ph.D. I often receive inquiries about the accommodation of extended test time and my research on the topic. Most are from parents of high school students, individuals who are in college, graduate school, and professional schools, as well as disability service providers who work in postsecondary settings around the world. Why are we still talking about extended time? The answer is steeped in old ways of thinking about ability, disability, and constructs of speed that have little to do with test performance on academic exams. However, the majority of state exams that measure Common Core State Standards or other state standards are not timed and this is for all learners (Thurlow, Lazarus & Christensen, 2013). Many other accommodations are embedded for all learners in the PAARC and Smarter Balanced Assessments. I believe we need to move forward toward universally designed assessments for all learners. No one will outperform their own potential, and why would we want to stop anyone from doing so? As a society it is important to move beyond old notions of speed and performance, and examine more recent research on how all students think without the constraints of time (Amabile, Hadley, & Kramer, 2002; Boeler, 2015; Horn & Blanksen, 2012) . In the meanwhile, it is my hope that this page will dispel commonly held beliefs about extended time, and help individuals with disabilities to understand the process to document their need. 1. How did I end up researching extended test time? As a student and a teacher, I have always been fascinated by test taking. It's a stressful situation and students, regardless of age, are keenly aware of who finishes a test first. Many students just seem to watch classmate after classmate, turn in a completed test, while they are left behind frantically watching the clock. Still others are motivated by time pressure, and some very bright students always appear to be the last to finish. I knew many of these students had mastered the content, but they simply could not respond fast enough to finish the test. When I became a learning disability specialist at a community college, I would often ask other professionals how they made decisions about who received extended test time. The answers were varied, but most said if an individual scored low on processing speed tests that were a part of their psychoeducational evaluation, they would need more time. This was in the late 1980's and early 90's. Most people were not even talking about reading fluency. Academic tests primarily measured decoding and comprehension. Dr. M. Kay Runyan had recently published a study that demonstrated students with LD made significant gains with extended time and students without LD did not (mainly because they did not need it), and that garnered a great deal of attention. However, there was no research to help practitioners understand how to determine those students with LD who genuinely needed the accommodation of extended time. Was it really all processing speed? I didn't think so, but I figured it was a good place to begin asking questions through research. By the time I entered my doctoral studies, we were in a new era of accountability where national and state educational test results made headline news. People were scrambling to determine how to test students with special needs. Test accommodations were a hot topic in the field. While my interest was always how to provide students with extended time in college and professional schools, many researchers and practitioners were learning how to make better decisions in accommodations from the K-12 classroom through licensing exams for professional fields (e.g. law and medicine). In one of the first studies I conducted, I surveyed disability service providers to determine how they made decisions about accommodations. Interestingly, most responded that they went with the recommendations made by the professional who wrote the student's psychoeducational evaluation; not how they performed on diagnostic tests. This practice however, has changed over the years and many, many disability service providers at colleges across the country now make their own decisions about which students receive extended test time with respect to the recommendations in the report. Nearly all use the psychoeducational evaluations students bring to campus as a basis for their decisions. In that first study (Ofiesh & McAfee, 2000), I was able to identify which tests are most commonly seen in the psychoeducational documentation that students bring to campus. From this information, I was able to determine which processing speed tests were most commonly used, and then use those in a regression equation to predict which students would benefit from extended time. One of the tests was a strong predictor, while others were not (Ofiesh, 2000). This work led to a model for how to make decisions about extended test time that many postsecondary disability service providers have adopted (Ofiesh, Hughes, & Scott, 2005). I later replicated that study while I was a faculty member at the University of Arizona, using not only processing speed tests, but reading fluency tests. In this study, the reading fluency test was a strong predictor of extended time (Ofiesh, Mather, & Russell, 2005). 2. What do I consider to be some of the most important findings in my research? a) Students with LD are not provided with an unfair advantage when given extended time. Several studies, beginning with Runyan's, and including two of mine have repeatedly demonstrated that students who do not have LD do not make statistically significant gains with extended time. This is really because they often do not need it! All the time in the world will not help someone answer a question if the answer is not known. However, for those who know the answer and need more time to demonstrate what they know, extended time levels the playing field. b) Processing speed is an important predictor in the need for extended time, but not all individuals with low processing speed need the accommodation. Reading fluency and most fluency tests are stronger predictors. c) In both studies I conducted, the independent contribution of intelligence was considered, and the gains made by extended time were not dependent on intelligence. In other words, bright students needed extended time. The need for extended time is not related to general intelligence when it comes to the population of learners who are learning disabled. 3. What are some misconceptions or misunderstandings about my research? As Dr. Noel Gregg pointed out in the title of one of her studies on extended time: it's not all processing speed and it's not all reading fluency. This is so true. Many individuals erroneously interpreted my findings to suggest that processing speed and reading fluency were the best and only predictors of extended time. Not true...they just happened to be the first constructs to be investigated. Dr. Gregg went on to look at working memory and decoding skills. These too were strong indicators of those students with LD who need more time. It ultimately depends on the nature of the LD. For individuals with ADHD, the impact of the disability may show more in terms of executive functioning or working memory, than reading fluency or other academic measures. A current problem for students with ADHD is that the tests included in most psychoeducational test batteries include speeded academic tasks that do not demand a lot of working memory (e.g., very simple reading rate or reading fluency tests, and basic rote math fluency). Therefore, these folks often look like they don't need extended time because they can do well on these simple tests, when in fact the problem is that the speeded academic tests available for adults do not truly capture the impact of working memory deficits. It is also likely that students with ADHD may need multiple day testing rather than extended time. It's important to look at the history of the student's disability, history of accommodation use, and test behavior in addition to diagnostic test scores. Moreover, it's important for clinician's to understand how aspects of cognition relate to all aspects of reading, writing, and math, as well as other academic tasks. 4. What is the difference between extended test time in a postsecondary setting and on a standardized exam like the SAT or ACT? Tests in colleges and universities are usually teacher-made. They are usually not standardized; they are designed to measure course content. Because the tests are not standardized, there is often less concern about "invalidating the test" from a test development perspective. Test validity is a gigantic issue to test developers who design standardized tests for college entrance and professional licensing. In both arenas, accommodations are determined based on individual needs. Therefore, requests for accommodations on standardized exams are evaluated much more closely in order to protect the validity of the test (i.e., maintain what the test is designed to measure). A person must also show that the need for more time is associated with the disabling condition, and that the need is significant. The last part is where things gets tricky. Who determines if the need is significant? The answer: professionals at colleges and universities who oversee services for students with disabilities, or professionals who work for test agencies. More importantly we MUST start recognizing the fact that no one will outperform their own potential and we must question why we are still asking the question of who needs more time. Isn't it time for all individuals, disabled or not, to be able to demonstrate all they know and can do? This is where the field of testing must merge forward into the realm of universally designed assessments. For more information vist the Center for Applied Special Technology. Also investigate the universally designed features of the PARCC and Smarter Balanced Assessments of the Common Core State Standards. 5. 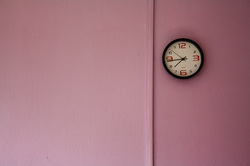 What should a person do in order to document a need for extended time? a) Maintain excellent school records: report cards, IEPs, psychoeducational evaluations, and reports from teachers who have observed you or your child's use and need for more time in the classroom. If you, or your child uses extended time in school, be sure it is part of the IEP, even if extended time is provided for everyone on your state exams. One mistake people make is leaving the accommodations of extended time out of an IEP because in particular state, "all students receive extended time" or "a test is not timed." Even if a state test does not require the use of extended time, it should still be documented in the IEP so that a clear paper trail of need can be established early on. If it is used in the classroom, be sure it is listed in the IEP as an accommodation. b) When a psychoeducational evaluation is conducted, or an IEP mentions accommodations be sure the evaluator explains why extended time is needed, not just provide a recommendation for it. The explanation needs to underscore how time is related to the disability. For example, "Mary needs extended time to ameliorate deficits in reading fluency and the executive functions of self monitoring and shifting." This is true for each accommodation that is recommended, not only extended time. This is important given that MOST states now allow unlimited time for all students on state assessments. c) As a student, you should understand and be able to explain in your own words how your disability leads to your need for more time. Be an advocate for yourself. Understand both your strengths and your needs. Have a learning specialist, educational specialist, school psychologist, or clinical psychologist review your diagnostic test scores with you so you know what they mean, and what kind of learner you are. d) Two last tips: Learn test taking skills! There are excellent study strategies for taking multiple choice and short answer tests. Know them! Moreover, practice, practice, practice for standardized tests by taking the practice exams several times before test day. Research shows your score will go up and your speed will improve simply because you will be more familiar with the tests. 6. Why can't everyone just get extended time? Why does a person have to demonstrate a disability? As it applies to students with LD and ADHD, extended test time is an accommodation granted to individuals who genuinely need more time based on a disabling condition. It is not simply a "helpful consideration". This is an old and outdated model of disability and access, but unfortuantely many students are still left to fight it. Extended time is designed to promote access to test taking by reducing the impact of tightly timed tests for individuals who process information more slowly than others, despite all else being equal. While I am not an attorney, it is commonly understood that if an individual does not have a disabling condition, recognized under federal or state law, s/he is not entitled to a test accommodation as a person with a disability. Again, we must all advocate for the development of universally designed assessments.